An original t-shirt for women who are wild about dancing Forró. Wear this t-shirt at Forró festivals and the guys will go wild dancing with you! This T-shirt is made from 70% bamboo viscose and 30% organic cotton. The fabric is a 115 gsm fine jersey, and it is slightly sheer. The sleeves have been finished with a straight cut and without a hem for that eco fashion look. This bamboo t shirt is incredibly soft and comfortable, and yet at the same time, durable and easy to care for. It quickly absorbs and evaporates moisture; it is highly breathable and cool in hot weather. Bamboo is antibacterial, so it stays fresher and odour free for longer. The design is by Da Londra and the t-shirt is printed in London. 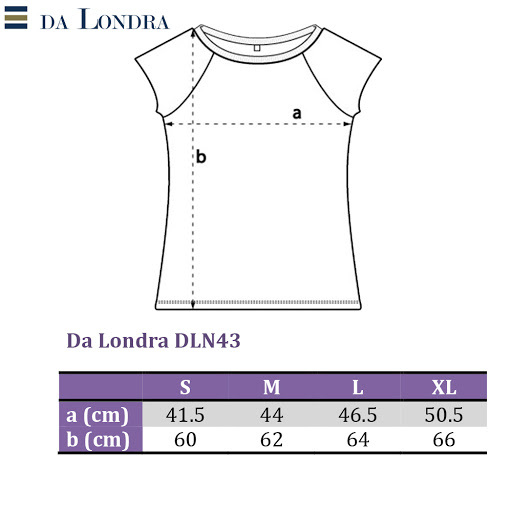 The T-shirt comes folded with a tissue insert and is presented in a Da Londra package.